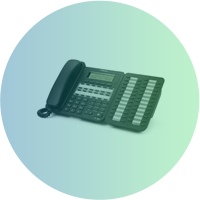 Once we sell a telecommunications solution to our customer, we consider this as the start of a 10 year relationship, unless they avail of a more modern solution sooner. 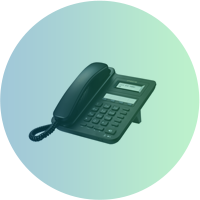 Obviously, as all modern telephone systems are complex and customers need ongoing support with them, We have devised a telephone support and maintenance contract program to sign up to after the initial warranty period is up. Some customers need more support than others and so we are very flexible in the way we charge for such services. For example, ABC company needs to know that we are at the end of the phone for support so they pay a flat “telephone support ” fee to us annually. XYZ company need a lot of changes made during the year so they opt for a full Maintenance Contract which covers all their equipment, telephone sets and peripherals from wear and tear. They also are entitled to as many “remote programming” changes as needs be. Finally, the local hotel in Harcourt St need to have 24hour, 7 day a week cover as they are open 24/7 as well and we always have an after hours engineer on call for such an event. Companies are constantly relocating staff to different parts of their building and we are here to help in relocating their telephone sets. If you need to relocate your company to a different location, we are happy to cost this important move for you. Most companies use the week end to relocate their company and we are happy to work on your system after-hours or on week end so as you don't have any down time. We are often asked to relocate a system which we didn't supply in the first place. 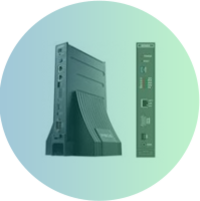 All of our modern telecom solutions are up-gradable and so when our manufacturer comes out with a new feature or solution, it is a simple matter of us remotely logging in to your system and applying this new upgrade without having to replace any expensive hardware. If a customer takes out a standard maintenance contract with us, all upgrades are free!